'Timescape' (Ben Hager, R. 1989). Seedling# T4674RfBlBld. TB, 42" (107 cm), Midseason bloom. 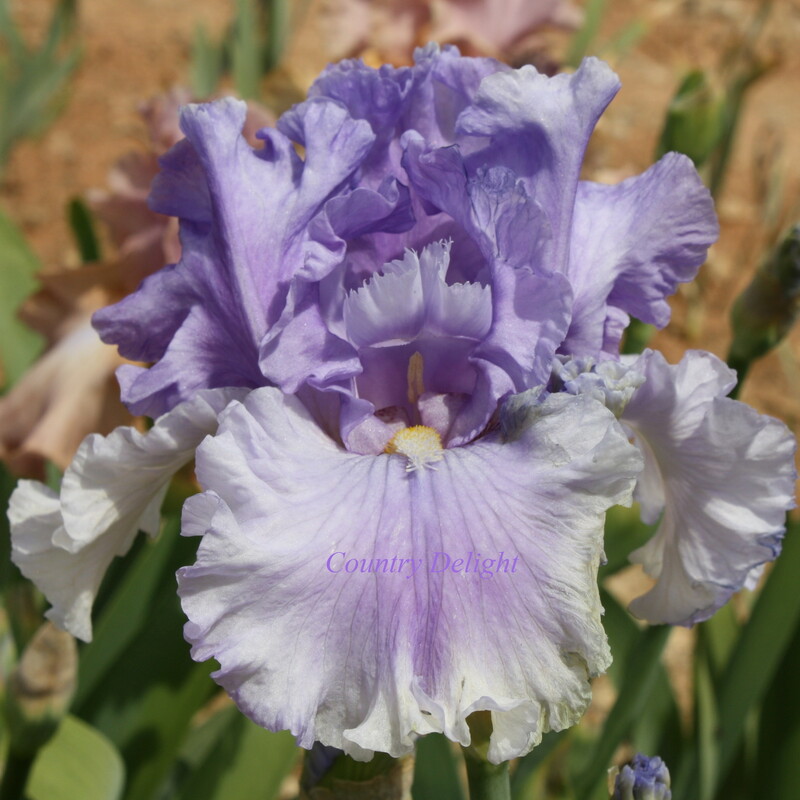 Standards lavender white, lavender midrib; falls blue white, orchid lavender blot in center; white beard tipped yellow; ruffled and fluted. Seedling# T4222Blt2: ('Silver Flow' sibling x (('Sea Adventure' x sdlg.) x ((((Babson seedling x 'Morning Breeze') x 'Dream Time' x 'Silver Years') X 'Surf Rider'))) X 'Olympiad'. Melrose Garden 1990.
jpg BHP_0533-X2_timescape.jpg manage 177 K 20 Feb 2016 - 06:47 BrockHeilman Please contact Brock Heilman for image use.